Guide to 40 of the best trail, fell and skyrunning routes in the Lake District, including Helvellyn skyline and Scafell Pike direct. Highlights include recces of Cumbria's best ultra and fell race routes including the Langdale Horseshoe and Borrowdale. Includes info on the history of fell running, races and adapting for the fells. These trail and fell runs can be tackled throughout the year, though the most popular season is from Spring through to Autumn. Ambleside, Windermere, Coniston, Eskdale, Borrowdale, Keswick, Buttermere, Dockray, Glenridding, Threlkeld and Rosthwaite. Each route has been carefully graded to indicate the style of running terrain, from wide trails, to single track, or technical skyrunning. This ensures you select a route that suits your experience and aspirations. In addition to the technical grade, distance, height gain / loss, and timings are provided. Explore some of the classic mountain running regions around the Lake District, the birthplace of fell running. Highlights include the routes of some of the most famous fell races in the national park including Langdale Horseshoe and Borrowdale fell races. What’s the difference between trail and fell running? From exhilarating level five fell runs to easy loping along identifiable paths and tracks, this new guide has something for everyone. 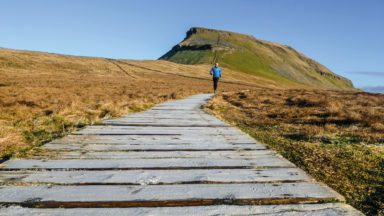 Novice or seasoned runner, whether your goal be fitness, challenge or adventure, you'll find it all in "Trail and Fell Running in the Lake District". This guidebook, similar in context and format to the other guidebook in this series, presents 40 running routes, and in this book in the stunning Lake District. It offers circular trail and fell-running routes in all corners of the Lake District, which in itself is the spiritual home of Fell-Running, where it remains the lifeblood of the sporting year. The book is nicely introduced by its historical chapter on Fell-Running and on the Lake District region, setting the scene for the ensuing routes. The routes offer inspiration, challenge and – particularly in the case of the fell-running routes – an opportunity to really get to know the beauty of the fells, as you choose your own line across the open mountainside. The guidebook covers both the well-known and popular classic circuits and offers routes in the lesser-known corners of the National Park. The guidebook utilises a grading system of 1-5 and the graded Trail, Fell and Sky-Running routes range from 8.5km to 35km (5–22 miles) in distance, covering from 90m to 2450m (625–8040ft) of ascent, with runs to suit most levels of ability and ambition from beginner to experienced runner alike. The author offers a few routes that involve elements of the recent and modern addition to the sport, that is Sky-Running including the Pinnacle Ridge at Patterdale. The comprehensive route descriptions and Ordnance Survey mapping provided for each route provides excellent overview and there are also tips to help the runner sharpen their skills and mountain-craft that accompany each of the routes. The guide also suggests a kit-list and information on travel, potential bases, weather and safety for each of the routes. The runner and reader has numerous choices of valleys from which to start or base themselves; infamous names abound, such as Wasdale and Langdale to the iconic summits – Scafell Pike, Helvellyn, Great Gable and Coniston Old Man, meanwhile valleys such as Buttermere will lead you to the peak of High Stile or to Sail Beck. The routes take in some of the most redolent scenery in the country, such as the Centenary Stone in Derwent Water, that many will have seen in postcards, iconic pictures or magazine spreads and with this guide the runner has the opportunity to shortcut the planning involved and maximise the gains and pleasure of running. Luckily for the average runner, as well as savouring the delights and exhilaration of the fells along the guided runs, the guidebook suggests relaxing, cosy Lakeland pubs in which to recover and relish in your achievements. Novice or seasoned runner, whether your goal be fitness, challenge or adventure, you'll find it all in "Trail and Fell Running in the Lake District". The recent explosion in the popularity of trail running may lead many to believe it is a relatively 'new' mountain sport but suggest this to anyone in the Lake District and they will quite literally laugh in your face. Fell running has been a part of Lake District life for generations and is as synonymous with Lakeland culture as alpinism and overpriced coffee are with Chamonix. 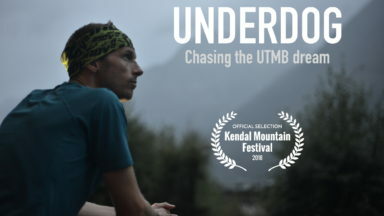 Home to running legends such as Billy Bland and Joss Naylor, and iconic challenges like the Bob Graham Round the Lakes are renowned within the international trail running scene as one of the best places on the planet to get up high and explore at speed. Things just got a whole load easier for vertical visitors to the area with the release of 'Trail and Fell Running in the Lake District', a new guidebook by trail running author Kingsley Jones. Outlining 40 graded routes in the Lakes, from easy low level trails to more committing airy scrambles, the book is split into four sections covering routes in the South-East, South-West. North-East and North-West Lakes. All the classics are in here (including the Fairfield Horseshoe, Helvellyn Skyline, Borrowdale Loop, and Scafell Pike) and each run starts and finishes at a carefully chosen pub making post·run refreshment as easy as possible. While locals are unlikely to uncover anything new within this book, newbies to the area will find a whole host of inspiration to get their trail shoes stuck into. The route maps and elevation profiles are clear and whilst the book is small enough to throw in your pack, you'd be best to use it as a pre·run reference point and save weight by downloading the associated GPX tracks to your phone for the adventure itself. This book divides the Lakes into four quadrants and highlights ten specific running routes for each, covering a range experience levels within these choices. Each route includes vital statistics such as distance and ascent/descent plus an abstract overview and step·by·step directions overlaid on a 05 Landranger Map. These, coupled with the inclusion of the free·to·download GPX files, means routes can be tackled without having to stop to get the book out. Jones, a local, is eminently authoritative and knowledgeable throughout. This new publication is exceptional! including mountain safety and skills, equipment needed and running techniques on tougher terrain. Even by the high standard of Cicerone’s comprehensive, trustworthy and informative guidebooks this new publication is exceptional. Whether you are an experienced runner or just thinking about putting on fell running shoes for the first time the information packed into this book will be an invaluable addition to your rucksack. Guidebooks [are] an excellent source of inspiration, and this one is one of the best out there. In this book Kingsley has provided routes that cover the entire national park and cater for all levels of runner. From easier valley trail runs, right up to a technical skyrunning style loop around Pinnacle Ridge, this book has it all. Lets start at the beginning. As is usual with Cicerone guidebooks, the first section gives you an introduction to the area and general advice on how to approach the activity in question. This includes travel and accommodations suggestions to build your trip around, plus kit and safety advice for when you’re out on the fells. 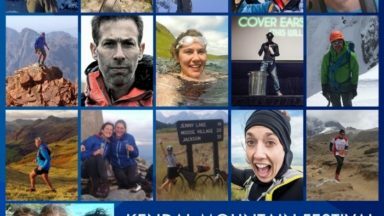 There is even a small section on tips and techniques for those new to the sports of trail and fell running, a welcome addition. From here the routes are broken into four sections, with ten runs in each. Each run includes one or more colour ordnance survey maps (1:50 scale), plus a general introduction/summary, followed by a detailed route description. The guidebook also includes a nice grading system and expected duration against each route, so you can easily make your route choices based upon your own experience and the time you have available. For those of us that like to use GPS watches or devices, Kingsley has you covered, with a GPX file available to download for every route in the book. A really nice touch is to see both the public transport and parking options described, helping you plan your trip to and from your run. I also liked the hints and tips sprinkled throughout the book, for example the use of altimeters or the choice of clothing to help regulate your body temperate. It is the breadth of route styles covered that I really like about this guidebook. 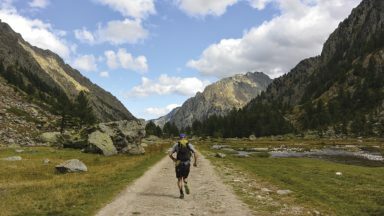 There is a nice mix of trail and fell runs, ranging from seven hour epic adventures, to 90 minute valley floor blasts. Lets take the south west section for instance. In here you will find some high level classics, like The Langdale Horseshoe or a circumnavigation of the high fells above Wast Water, You will also find some lovely lower level alternatives in the Duddon or Langdale valleys. Generally I will flick through guidebooks and then place them on the shelf, ready for some future date when I am next planning a trip to the area in question. This one however really drew me in, as I slowly went through it cover to cover imagining the routes being described or reliving past adventures, slowly building a tick list of places I wanted to visit when I am next in The Lakes. With the sport of trail running becoming increasingly mainstream, its great to see guidebooks such as this hitting the shelves to introduce those new to the sport to some of the best trail running The United Kingdom has to offer. If you’re thinking of heading to The Lakes for some running adventures of your own or are a more experienced runner looking for some inspiration, then I can highly recommend this guidebook. Hopefully see you out on the Lakeland fells sometime soon! It’s worth running to your local bookshop for a copy! Although seasoned fell runners might prefer to create their own routes and challenges, this well illustrated book, with excellent Ordnance Survey maps and advice, is a good source of information, particularly for those new to the area or to the sport of fell running. Kingsley was motivated to write the guide in response to seeing many visiting runners on the same low fells. He wanted to encourage them to explore more of the National Park, help them to be sensitive to the upland environment, promote use of public transport and support the local economy. Kingsley's love of the mountains started as a 5 year old. It wasn't a big surprise that he studied geography and glaciology at university. He's climbed the north faces of the Eiger, Matterhorn and Grandes Jorasses in the Alps, and led expeditions to mountains all over the world. 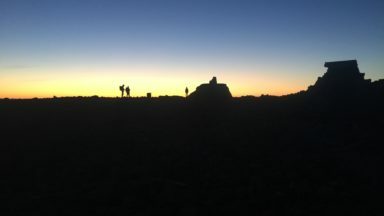 Through mountaineering he developed a passion for a minimalist approach in the mountains, and soon discovered trail running as an ultimate form of fast and light travel. He runs a mountain running and guiding company (www.icicle.co.uk), and so divides his time between the Alps and the Lake District each year. How do you decide on your favourite run? GPX files are available for many of our books. Just sign into your account to access them.